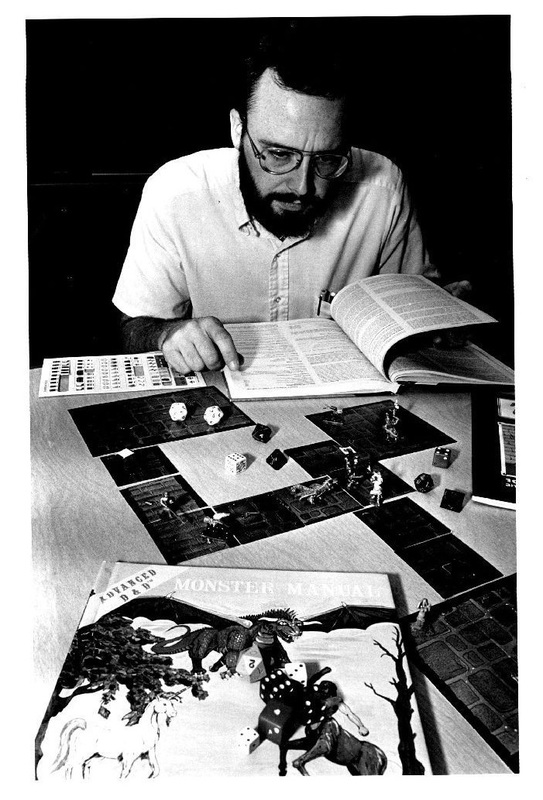 Chris Magliaccio, who helped organize the Dungeons and Dragons tournament at Museum of Science, playing the game. For the first time, I might add. 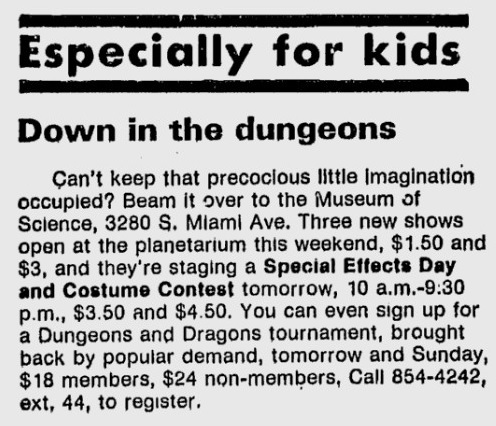 D&D tournaments were fairly common at museums of science in the early ’80s. You’ll recall this ad for a tournament in Miami. The game appealed to the kids who liked science because both enterprises are systems of knowledge organized around testable explanations. I was more creative than analytical, so I enjoyed the fantastic, narrative aspect: building characters, adventures, exotic weapons, inescapably deadly dungeons, etc. That’s the genius of D&D, really. It captures both sides of the brain. Good luck learning to play in such a short time, Chris. Can you see the beads of sweat on his forehead? 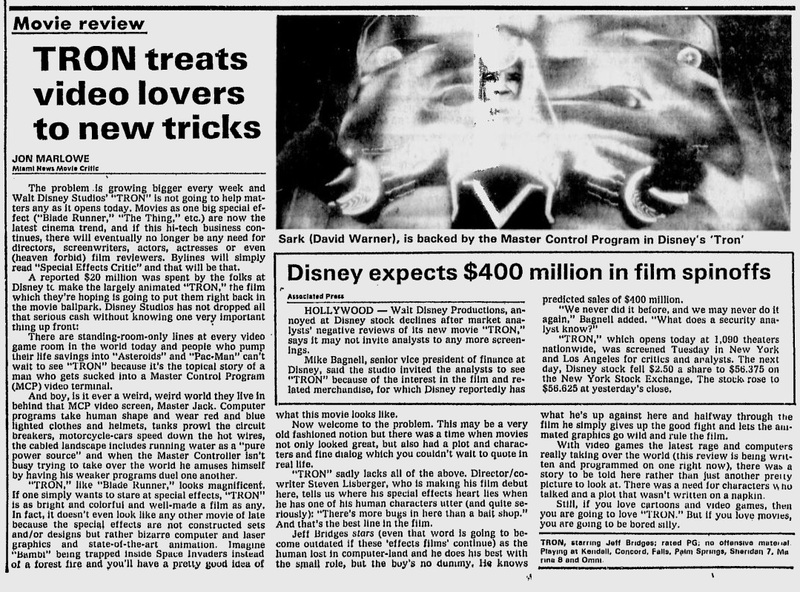 From the July 9, 1982 edition of The Miami News. I thought the review was interesting because it’s basically how I feel about every sci-fi movie from the last 20 years, except for Moon, Children of Men, and a handful of others. Is it possible that gratuitously vacuous blockbusters like Avatar and Prometheus will be considered classics in 30 years? I’ll admit that TRON is far from a perfect movie, but it does have a soul. The ad below was on the same page of the paper. What makes a geek a geek is not keeping “that precocious little imagination occupied,” but keeping it challenged. At least that used to be what made a geek a geek. Now you can just dress up in elaborate costumes and prowl your Con of choice, and I guess that’s enough. 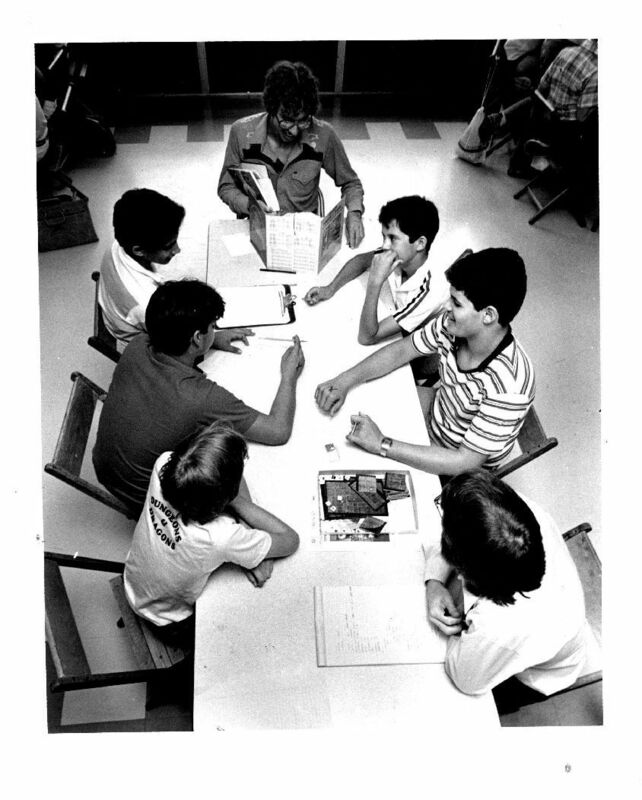 At the Dungeons and Dragons tourney each table had a dragon master and six players. This is one of the intermediate groups. There were three divisions: beginners, intermediate and advanced players. The “dragon” master’s shirt is awesome. I bet he still has it.